I actually meant to have this post up earlier this evening so that I could get the rest of my posts for the week done but, unfortunately, I ended up with another migraine that lasted all day until very late. I don't even know what triggered it. But I am feeling a bit better now. Let's take a look at the Day 2 - Candy prompt for the Winter Nail Art Challenge hosted by Ehmkaynails and BreedLovesHoops! 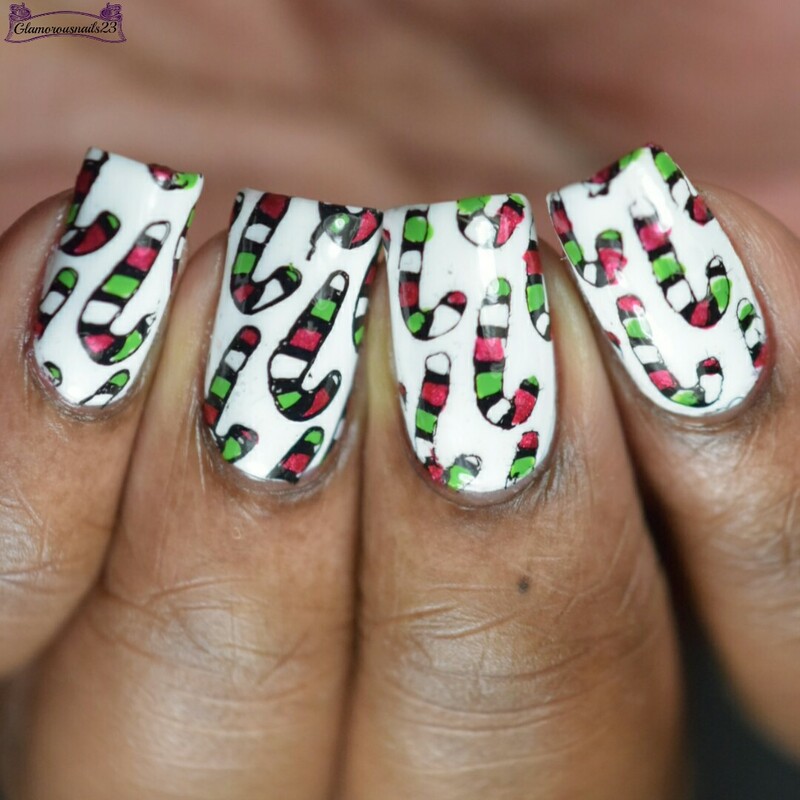 When I saw this prompt I instantly knew that I was going to do some type of candy cane nail art. 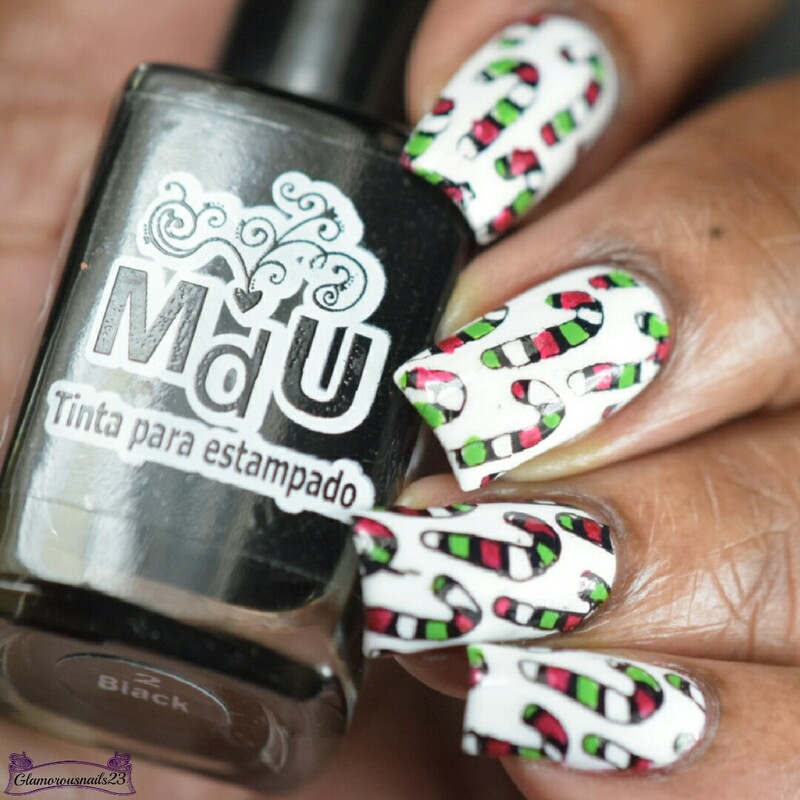 And of course just as I had already done this mani some plates that I ordered with some more festive images arrived in my mail box. 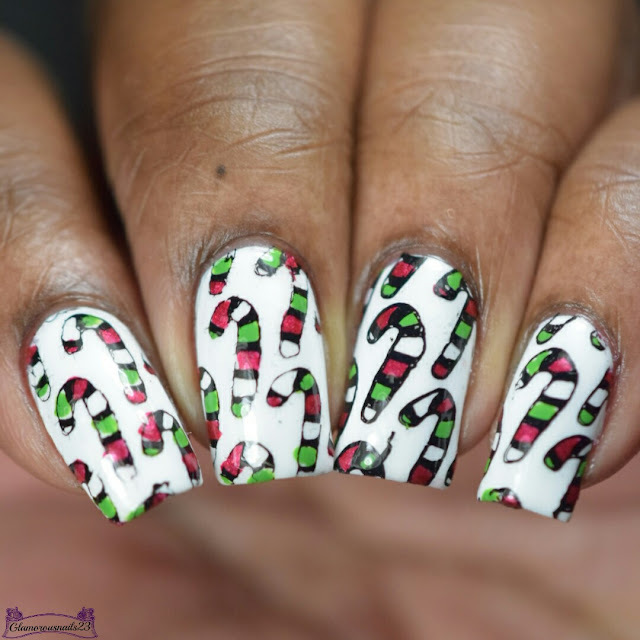 Maybe I'll be able to squeeze in another candy cane mani...maybe lol. My mom used to get these candy canes from the dollar store that were blue and dark blue for the tree when I was a child. Those were actually my favourite and they could only be found come Christmas time. 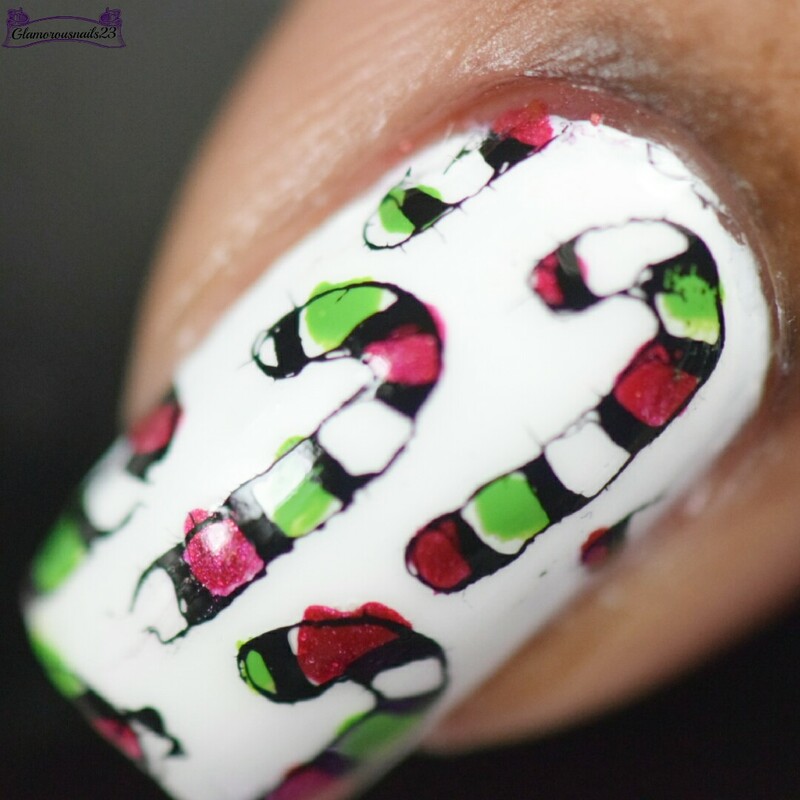 Alas, I opted to stick with the traditional colours that you tend to see on candy canes. TUTORIAL! !⇟⇟ Please don't forget to thumbs up and subscribe on YouTube!